Hello everyone! 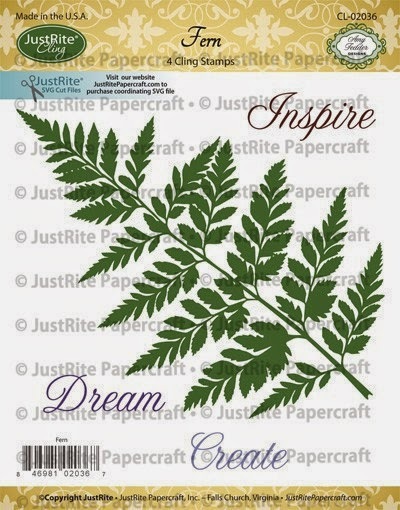 Today is the second day of the May New Release from JustRite® Papercraft. For my project I used three stamp sets and two of the SVG Cut Files. 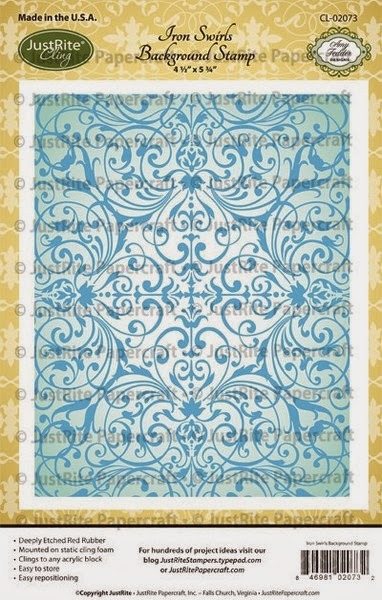 Here is the card that I designed. I went for more of a shabby mixed media look. I started out with a Corrugated Card for the base and then I added some gesso, snow-tex, and glitter. 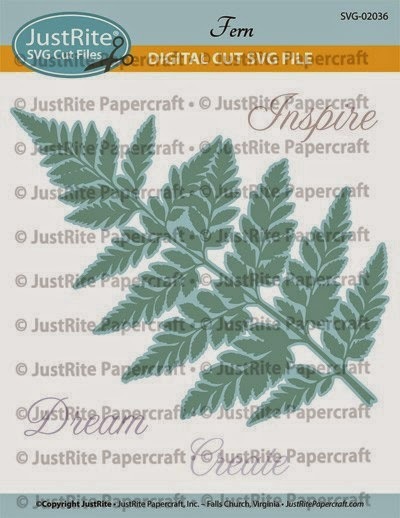 Next I created the paper cuts using SVG-02034 SVG Butterfies Digital Cut File Download for CL-02034 and SVG-02036 SVG Fern Digital Download Cut File for CL-02036. 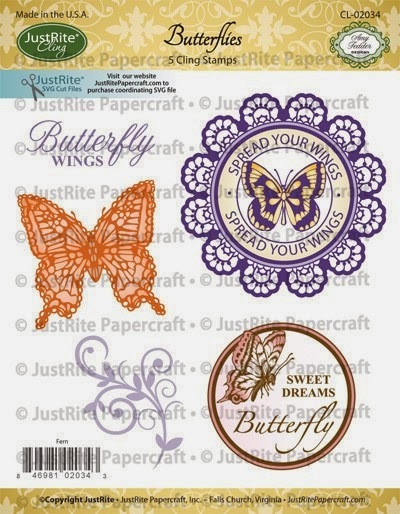 I used the full sized fern and butterfly with the coordinating stamps and I also re-sized the fern and butterfly to create some smaller paper cuts. Here is close up of the paper cuts and flowers. 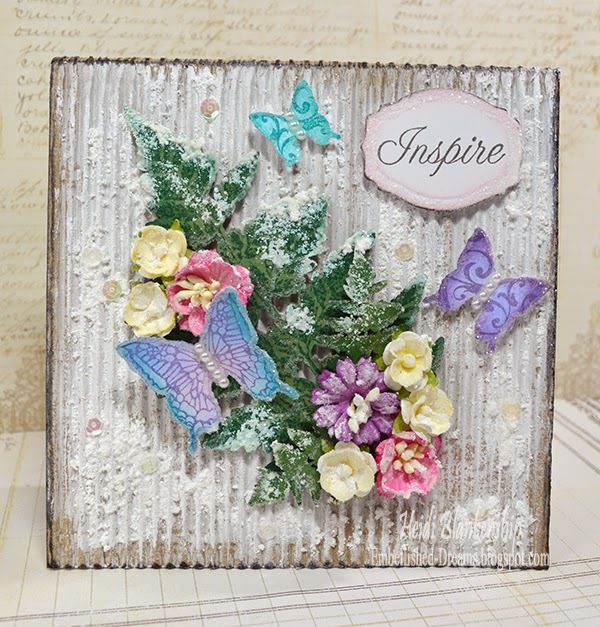 I added more snow-tex and glitter to the fern leaves and flowers. I stamped the sentiment and used S4-418 Labels Thirty-Six to cut/emboss the label shape. 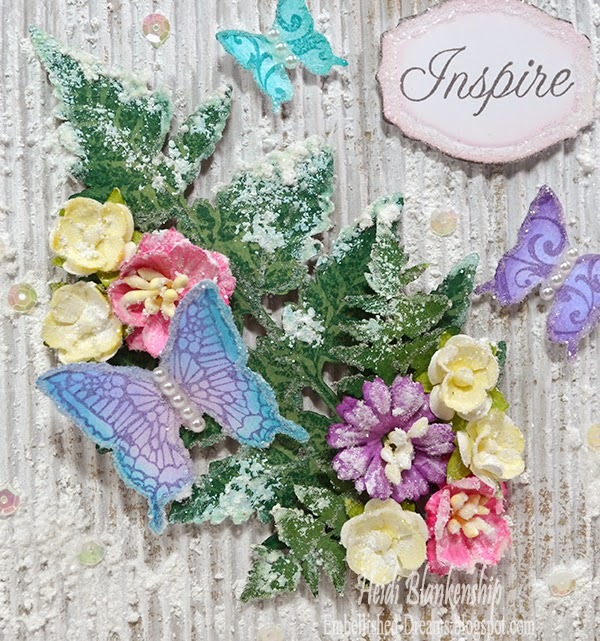 I added some pearls to the butterflies and randomly placed sequins on the card front. I love how the card turned out with all of the pretty colors, textures and sparkle! 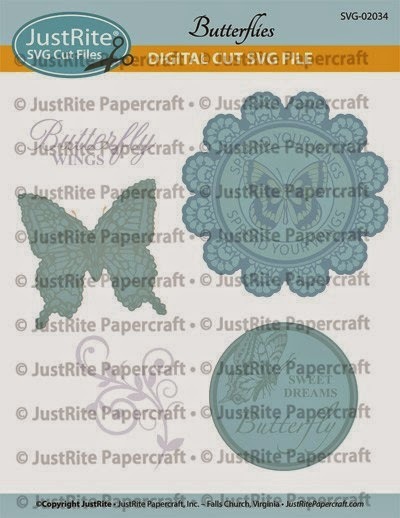 Please be sure to visit each of the JustRite Papercraft Designers in the link list below to see what they have created to share with you. 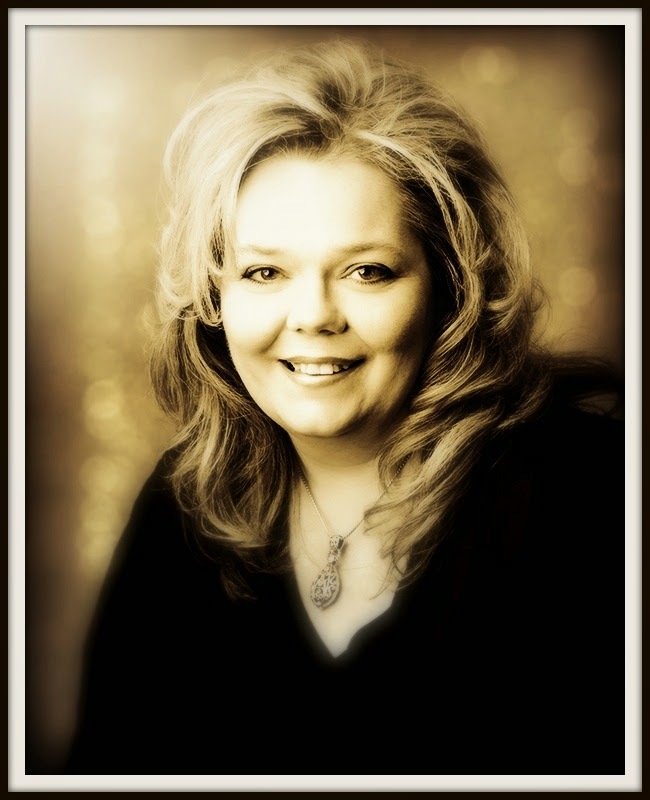 Wow, this is so pretty! 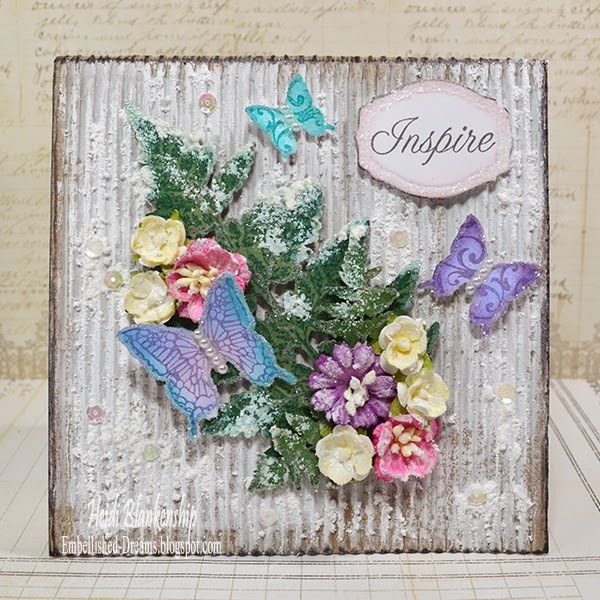 I love the shabby chic style you created with the mixed media. Lovely work! Wow Very Stunning love the layering and the colors. the Idea for adding the flowers is Awesome thanks for sharing. Beautiful card! 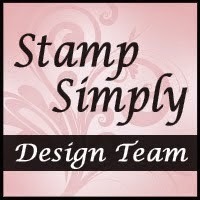 Love the new set of stamps and cuts!!! What an amazing card...you did a fantastic job.